Associate's degree programs are available in the field of insurance services to prepare graduates to work in the insurance industry. Courses are offered in insurance, banking, accounting, investments, statistics and business law. Graduates are expected to demonstrate understanding of the use of various types of insurance products in personal and business planning. The financial elements included in a successful business may include thoughtful planning, exercising control with budgeting and considering the risks associated with purchases and the operation of a business. Some degree programs concerned with the financial well-being of organizations can be popular choices for upcoming professionals, which can lower the job pool after graduation. If you are looking for an intriguing degree option that could assist you in finding rare and interesting opportunities, you should consider a degree focusing on insurance services. A degree in insurance services can assist you in finding careers that provide insurance and risk management to businesses and individuals all over the country. This type of services is extremely important to those that wish to have security in their everyday life, without having to worry about what to do in the event of an accident or injury. Insurance degree programs can also provide knowledge in the field of risk management, which can be a helpful tool in analyzing the potential risks of business ventures or personal decisions. Our team of educational experts has created this guide to help you learn more about how to achieve this degree and find careers that match your skills. There are certain degree programs available that can combine the aspects of business, accounting and insurance into one solid program. These types of programs can be excellent for upcoming professionals that are interested in the field of insurance, but want to have more options when entering into the professional field. Insurance specialists can be a great contributor to companies seeking stable and efficient operation. If you are considering entry into a degree program, you should take a look at the curriculum of each option in order to see which would be the best fit. The list of courses below was retrieved from current insurance-related degree programs in the country. Our team of experts has decades of experience in researching educational programs, and has pulled this information in an effort to help you learn more about the various topics covered in this degree program. 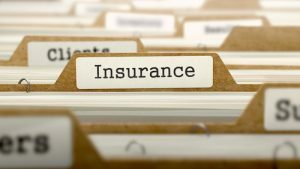 As you can see, insurance services programs can provide you with a general outlook into the many different types of insurance, as well as the risk associated with providing these policies. Intro to Risk and Insurance: This class was designed for the new insurance student. If you are enrolled in this course, you can expect to see introductory concepts to risk management and insurance, such as how risk can play into the overall involvement of insurance services. Students can also learn about how to analyze potential risk within an entity, the amount of money it would take to provide insurance and the amount of coverage possible for an agency that exhibits a high level of risk. Life Insurance: Students enrolled in this course can gain a better outlook on one of the most common forms of insurance available: life insurance. One of the main introductory topics in this course is annuities, which can play a large role in the payout of life insurance policies in the U.S. The implementation of individual policies, provisions and innovations may also be discussed throughout this course. Financial planning associated with life insurance can be included during this class. Commercial Liability Insurance: This course can dive deeper into insurance and risk with a look into the various forms of liability loss exposure. Some of the different topics covered in this course may include contractual, workers’ compensation, premises, and completed operations liability covered. Students may also take a look at some of the potential risks involved in providing this type of coverage to clients. Check out the salary information below to learn more about what you can earn in this degree field. Claims Adjusters, Appraisers, Examiners, and Investigators: $64,690 on average per year (BLS). Actuaries: $101,560 on average per year (BLS). With a degree in insurance services, you could potentially seek out careers independently or within large organizations. Some businesses call upon insurance specialists to assist them with finding relevant coverage for their needs. Insurance companies may also be on the hunt for insurance specialists that can help with providing insurance coverage to clients with variable needs. In this profession, it is important that professionals always prepare for uncommon detrimental events. If you have a job in this field, you may have to perform research in order to estimate how much of a financial burden would be experienced in the event of a serious injury, death, sickness or accident. You may also consider the influence of natural disasters on your organization. Finding the right type of insurnace policy is not always a simple tasks. In this position, you may be tasked with trying out various policies in order to see which one could be the right fit for your organization. This can include testing, risk analysis and implementation of various policies in order to find the right policy for your needs. One of the most important factors to determine when developing an insurance policy is the amount of risk present with the insured. This can be through assessing personal health, the environment and habitual occurrences. The amount of risk found within a person or organization can influence the total amount of money being insured as well as the amount of the premium to be paid. As an insurance professional, there are certain qualifications for applicants that are necessary to be insured. You may be responsible for digging into a client’s past in order to discover their insurance history, insurability and previous claims. These topics can help you decide if covering your client would be worth the normal risk associated with providing insurance services. Can I be employed by a corporation with this degree? A degree in insurance services can do more for you than just prepare you to sell insurance policies. Businesses and organizations often employee the expertise of insurance service graduates to help minimize the risk present within their agencies. Working in these areas, you could assist with providing recommendations for changes as well as choosing insurance policies that are relevant for the needs of your company. Is there a licensure component to these degree programs? Degrees in insurance services were designed to prepare you for a licensure exam. You should research the program of your choice to ensure that licensure testing is a part of what the curriculum is designed for. After you complete your program, you can learn more about licensure testing through your state’s commerce and insurance department. Can I pursue careers with just a Bachelor’s in Insurance Services? The bachelor’s degree is the most fundamental of all degree programs. Many entry-level positions are seeking undergraduates to fill their positions and gain experience within their field. If you choose to pursue your bachelor’s degree, you could potentially find careers as a sales agent or even providing planning services for businesses in need of advice. The costs of a degree program can also be variable depending on where you look. Typically, the demand of your chosen university may have a lot to do with the price. More popular schools may offer the same program for a much large price. If you are concerned about the amount of money you will be paying for tuition and fees, you should definitely consider a wide variety of schools throughout your search. Check out a couple of examples of programs below to see the potential differences in price for each. When you have made the decision to find a degree program for your future, you might be wondering if you have made the right decision. Different students have different methods of weighing their options with online degree programs, so your decision should be based on what concerns you the most about achieving your degree. The biggest topics associated with choosing between degree programs is the amount of tuition you can expect to pay and how long it can take to complete your program after you become enrolled. The first thing to consider is your current degree level. If you are a new college student entering into a degree program, you can expect to spend about 3 to 4 years working on your bachelor’s degree. Master’s level programs are typically shorter, with some only requiring 1 to 2 years to complete from start to finish. However, as you search through programs, you may notice some with much longer completion times. Through a thorough search and analysis, you may be able to find programs that are more suitable for the timeframes you have set for yourself.